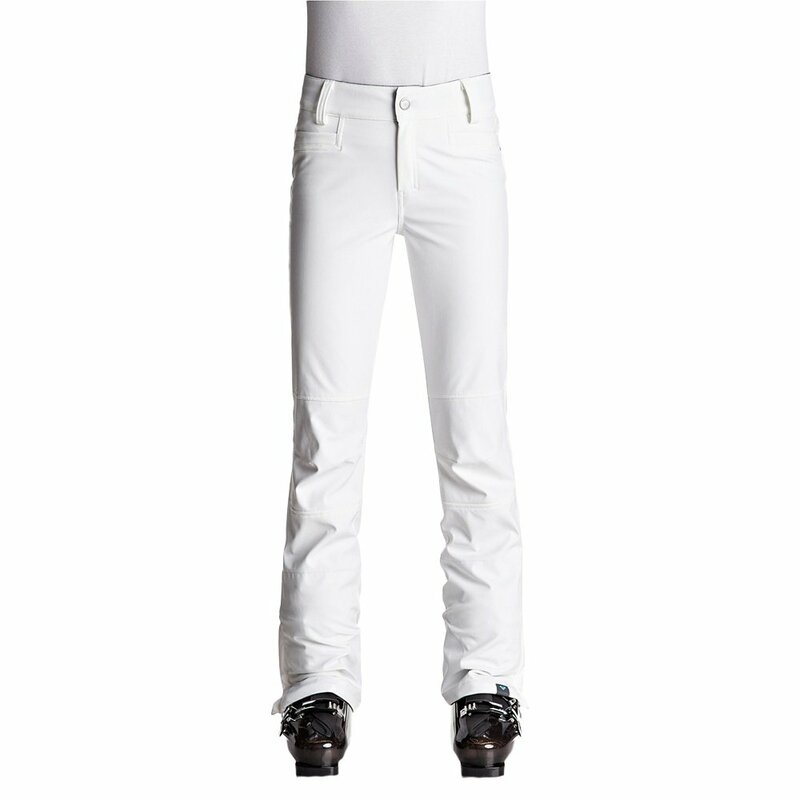 The Roxy Creek Stretch Softshell Snowboard Pant shows us that tight doesn't have to mean restrictive. With a super skinny and trendy fit, the Creek pant has 11% Elastane which allows you to bend and stretch freely. A super cozy brushed polar fleece lining feels super soft next to skin and slides on easy over baselayers. The jacket to pant attachment system allows you to create a body suit when paired with a Roxy Jacket, creating an impenetrable barrier against snow and wind. DRYFLIGHT® 15K Waterproof fabric keeps you dry even if you take a tumble on the slopes. "Are there pockets in the back?" "Yes, these pants have two zippered back pockets. Hope this information helps. " "What is the inseam length on these?" "You can view the inseam length on all sizes here on the size chart provided. Hope this information helps. "